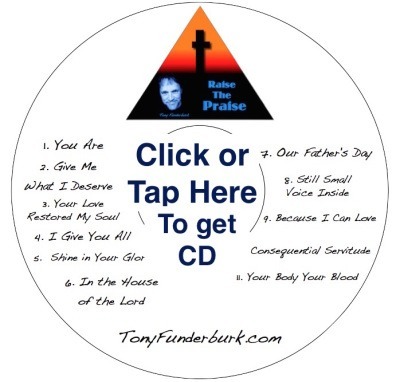 Get Tony’s first CD of Christian music. See. What’d I tell you? Family friendly music. So, the next time anyone you know tells you there’s just not that much family friendly music out there, just share the link to this page. In fact, share the link to this page with everybody you care enough about to tell the truth.